Welcome to BLUECAF Coffee Roasters online store. The best place to buy the finest coffee. Here you can shop our selection of craft-roasted specialty grade coffee. When you buy coffee online from BLUECAF Coffee Roasters you are shopping from a diverse selection of the best coffee beans from around the world. We roast 100% Arabica beans. 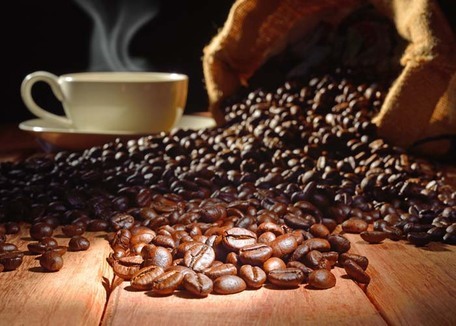 Some roasters use less expensive Robusta beans which produce a harsher, more acidic coffee like that found in grocery and Convenience stores. We roast the sweeter, smoother, more flavorful, full-bodied Arabica beans. Our coffee is always fresh-roasted. We roast our coffees per order and ship within hours, so it arrives to you at the peak of freshness. Never warehoused, we package our coffee for retail sales in our signature sustainable rice paper stand-up pouches to guarantee just-roasted freshness. At BLUECAF Coffee Roasters, we take great pride and care in our product and do everything possible to ensure our customers receive their product at peak freshness. When you buy coffee online from BLUECAF Coffee Roasters you'll see why we say “The Difference is in the Cup®"
IMPA SPECIAL ENDS Sep 30, 2018! A low acidity cup with a mild spiciness and smooth, buttery finish. Perfect alone or enhanced with sugar and cream. Try this 4 oz sample of each of our signature espresso blends. Click to order! Double Gold Espresso - A light, Italian espresso featuring deep middle tones balancing sweet acidity and full crema.